Most people think the Cold War ended when the Soviet Union collapsed. Though the USSR may have been beaten, their war infrastructure and resentment didn’t simply go away. What if there were still secret weapons systems in place and angry old men eager to set them off? In From within the Firebird’s Nest, former KGB official Sergei Kirill Mikhailov revives a secret biological weapon: the Crimson Firebird. He aims to strike a devastating blow to the United States while pinning the blame on an impressionable young Arab man, thus initiating a global crisis. Meanwhile, one of Sergei’s former colleagues is scrambling to stop the weapon from being deployed and recruits an unlikely team that includes his son (now a banker in Oklahoma), a former Stasi agent, and an American writer named Evan. Together they must shed light on foes hiding in the dark and save the world from unthinkable destruction. Crypto codes, numbers stations, and sleeper agents all factor into this ultra-high-stakes story of international intrigue. The Cold War gets a little warmer with each page, and all the animosity from the past builds and finally bursts in a shocking conclusion. 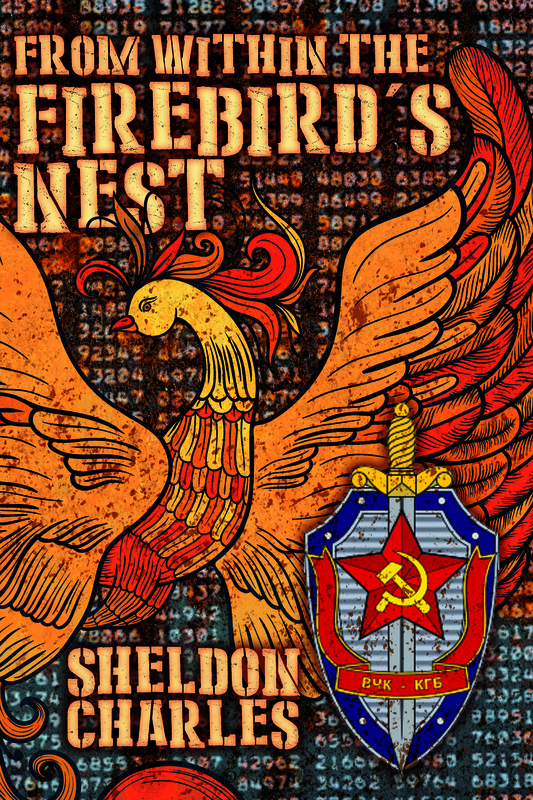 "From Within the Firebird’s Nest by Sheldon Charles is a timely story of simmering grudges from the Cold War era carrying over into America’s conflicts with international terrorism...a worthy read, especially for those interested in a realistic spy thriller that combines hidden conspiracies with a web of complex characters from different cultural backgrounds. It’s a lot for Charles to handle, but he deftly blends all of these elements together in this well-executed thriller." A riveting tale that catapults readers into a world filled with mystery, conspiracy, and unimaginable dangers. The narrative introduces a realm that is laced with tension, uncertainty, and impending doom over the possible detonation of deadly bioweapons." I happened upon this book while searching for something to read. I was drawn to it by the enticing title and the beautiful cover (yes, I have to admit these two features are my first filter). Upon reading the description I understood it was an espionage story, not a genre I am particularly accustomed to. I chose to give it a try and haven’t regretted it for a second!" "Whatever flaws we might identify or frustrations we might feel are trivial in comparison to a reader's pure joy in losing himself/herself in a narrative. When all the elements come together: an intriguing plot, thoughtful, profound themes, complex, troubling, characters, and language that will amaze for its clarity, directness and confidence; we gratefully set all analysis aside and give ourselves up to the sheer magic of a great book. And for me, From Within the Firebird's Nest, is such a book."